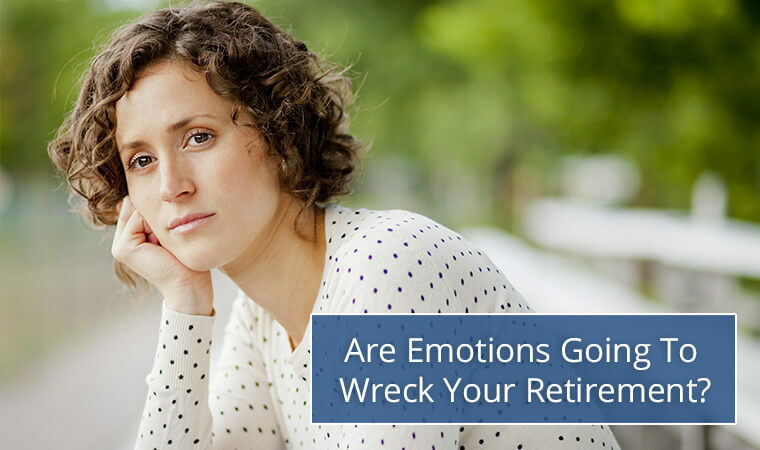 Are Emotions Going to Wreck Your Retirement? You’re probably being affected by behavioral finance, but like most people, you may not be aware of it. That’s not your fault. A mere 35 years ago, when many of us were in school, nobody was even talking about the subject. Now? The study of behavioral finance is not only a major concern of both the government and private enterprise, it’s a part of the economics and psychology curriculums at universities around the world. What is behavioral finance, and where did it come from? Behavioral finance is a relatively new field (about 40 years old) that combines psychology and economics to provide explanations as to why people make emotional investment decisions and subsequently lose money. The father of modern behavioral financial theory is bestselling author and award winning economist, Daniel Kahneman. His groundbreaking 1992 study, “Prospect Theory,” brought behavioral finance into mainstream consciousness by challenging commonly held assumptions about economics in a way that changed the way scientists and academics understand how people manage risk. So highly regarded is Kahneman and his Prospect Theory analysis that, “besides” winning the 2002 Nobel Prize for Economics, on November 22nd, 2013, President Barack Obama bestowed upon him the United States’ highest civilian honor, the Presidential Medal of Freedom. Kahneman found that, when it comes to investing, most people are too emotional and too close to the process to make rational decisions. How dangerous is behavioral finance to you? In his best selling book, “Thinking, Fast and Slow,” Kahneman stated that the negative aspects of emotional decisions are further compounded because our emotions spur us to make those decisions at the worst possible times. Here’s an example of behavioral finance in action. Just about everyone who was invested in stocks believes they lost money in the market downturn of 2008. But did they? A common scenario was for fearful investors to get out of the market after the crash by transferring money to cash equivalents or even bonds. But what that actually did was “lock in” losses because people cashed out when the market was low. Conversely, those people who stayed in the market after 2008 have likely taken advantage of a still-ongoing bull market, and have also likely, by now, not only fully recovered, but with a conscientiously allocated portfolio, probably realized gains far exceeding those enjoyed before the 2008 crash. How to stop behavioral finance from ruining your retirement. As sure as the tenets of behavioral finance can conspire to ruin your finances, the opposite may be true, as well. Knowing what to look for, and how to account for behavioral finance, may hold the keys to avoiding those mistakes going forward. 1. How do you avoid a herd mentality? Not a week goes by that we don’t meet with someone who wants a piece of a well-known stock or company, but which our experience and research quickly tells us is not a move that’s based on sound investment or business principles. Market “bubbles” in real estate, technology, or even something as random as multicolored Dutch tulip bulbs—which actually caused the collapse of the Dutch economy in the 1600s—are called “bubbles” because, eventually, they always pop. Do you find yourself longing to be a part of popular market trends? In an effort to keep up with those trends, are you carrying too much risk in your portfolio? Counteract these urges by asking your advisor how your investments would respond to historical events—such as a large scale natural disaster, war, an oil spike, or the burst of a sector bubble—and then work together to adjust your allocation accordingly. 2. How do you avoid an aversion to loss? There’s nothing inherently wrong with being averse to loss. In fact, it sounds completely logical. But is your fear of loss causing you to make poor investment decisions? Let’s be frank: every investment holds at least some risk. Yet too few investors have taken the time to have their portfolios stress tested. My over 25 years of advisory experience has taught me one thing, and that is, people who try to “time” the market to avoid loss typically end up drawing the short straw over and over again. 3. How do you avoid confirmation bias? People caught in the confirmation bias cycle seek information that confirms their already held beliefs. This might be okay when selecting the breed of the family dog, but it’s terrible for your portfolio. One of the first things I tell clients is to seek the truth rather than look for evidence that you are correct. That’s because just about any Google search will reinforce your bias by conveniently providing you with the confirmation you’ve been looking for. Instead, find a fiduciary advisor who is not only obligated to make recommendations that are in your best interests, but who, other than keeping you as a satisfied client, has no emotional attachment to his or her recommendations. Remember, when it comes to investing and confirmation bias, the best way to defeat it is to work with someone who allows you to get adequate emotional distance. Investment management and retirement preparation are complex endeavors. Add in emotion, and it can be a nightmare of decision making and navigation. Going it alone is not for the faint of heart. 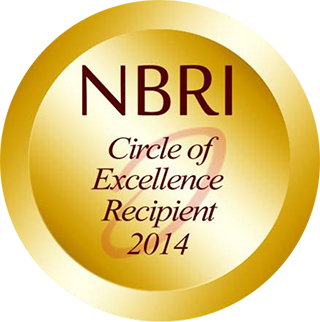 Aside the complexity of the process, there are hidden risks involved at every turn.